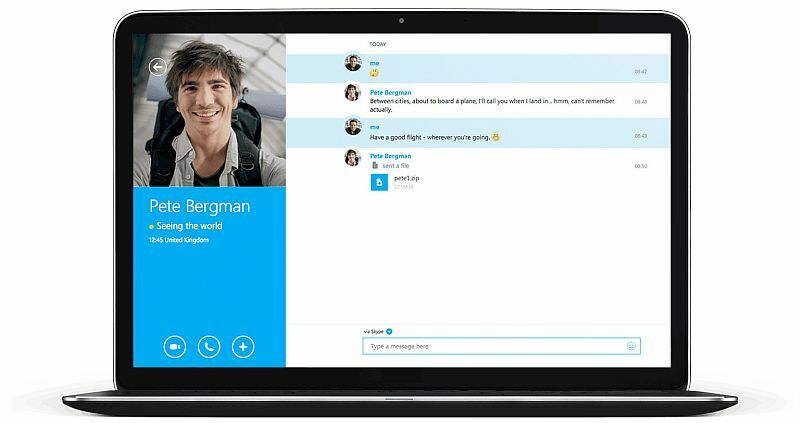 Skype is rolling out an update for all of its apps on desktops and mobiles, adding the ability to hide a user’s IP address. The company says that from now on all Skype users’ IP address will be hidden as a default status in the latest versions of Skype. “Starting with this update to Skype and moving forward, your IP address will be kept hidden from Skype users. This measure will help prevent individuals from obtaining a Skype ID and resolving to an IP address,” said the company in a blog post. Skype recommends users to update the app across devices and various platforms to ensure the new default feature. The IP address issue was popular with gamers who played online, and also streamed their gaming sessions. Earlier, a Skype Community moderator had detailed the steps on how to stop users from resolving your Skype username and finding your IP found. The new feature will be mostly welcomed by the gaming community. The popular video calling and instant messaging service Skype rolled out multiple updates for its apps this month including introducing the group video calling feature to everyone on Android, iOS, and Windows 10 Mobile. Skype earlier supported group video calls but only for those who opted for Skype for Business. The feature will be now available to non-subscribers as well. Microsoft rolled out an update for its Skype app on Android with new features that allowed users schedule Skype calls in Outlook. The company also confirmed that it has built the Skype Translator tool into its Windows desktop app for all users. UIDAI via its Twitter account said, “Not every 12-digit number is Aadhaar.” Verify here. Sociofly © 2019. All Rights Reserved.